HackerRank is a company that specializes in organizing programming competitions and it is used during the recruitment processes by many companies, such as Facebook or Airbnb. 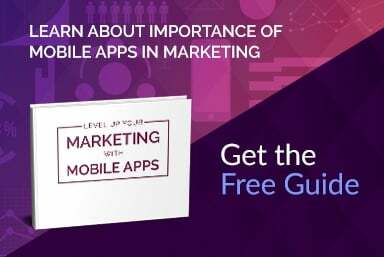 It brings together a community of over one million developers around the world. 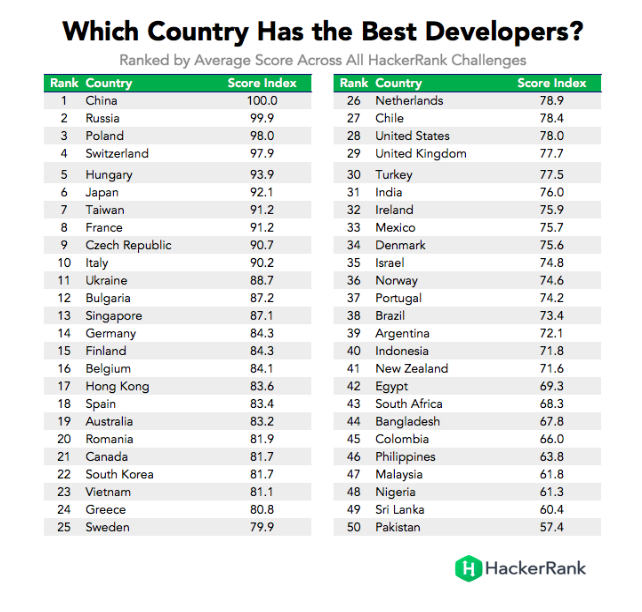 Analysts HackerRank checked the results of the 1.4 million tests, and on this basis, developed ranking of countries with the best developers. 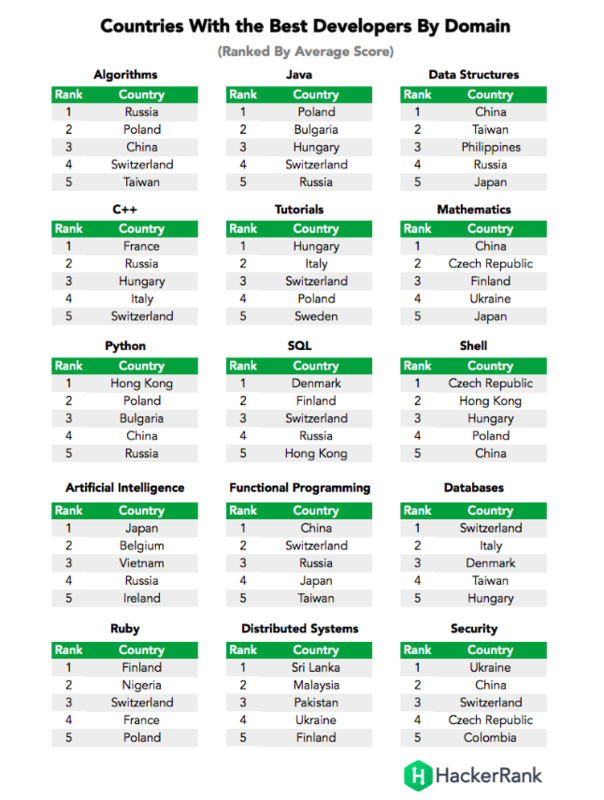 According to their data, China and Russia have the most talented programmers. The Chinese are the best in mathematics, functional programming and data structures, and the Russians dominate the algorithms - says Trikha. Most tests completed programmers from the USA and India, but in terms of the results, these countries followed by - respectively - on the 28th and 31st place. Tests HackerRank cover a lot of areas of programming languages of the algorithms and security of the distributed systems. During the preparation of the report, the researchers have been looked at the average note achieved by the developers of each country. It has been taken into account 50 countries with the largest number of developers involved in testing. The top ten is as follows: China, Russia, Poland, Switzerland, Hungary, Japan, Taiwan, France, the Czech Republic, Italy. Chinese developers have achieved an average of 100 points. However, this doesn't mean, that they write perfect programs. The number means that they are in the first place. They won with the Russians, who received 99.9 points. Poles and Swiss gained approximately 98 points. At last, a 50th place were Pakistanis, who received 57.4 points. That’s all for the general classification. The detailed classifications can be clearly seen, which is popular in the country. Poles were the best in testing Java. The French won in C ++, Hong Kong residents dominated in Python, the Japanese programming artificial intelligence, and the Swiss databases. Ukrainians were the best in security, and the Finns leading the charge in Ruby.